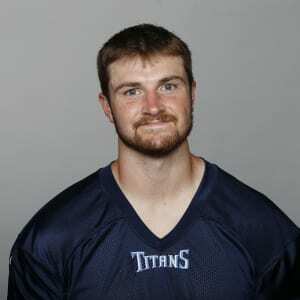 2018 Guide: What Ourlads' NFL Scouting Services said about LUKE FALK: Washington State, 6035 215 5.00. Three-year starter from Logan, UT who ended his walk-on career with several career Pac-12 records. While a lot of Falk’s production came from the Mike Leach scheme, he is a quality passer who knows the game, knows himself, and how to get the most out of it. Lacks the upside of an NFL starter but can project to be a solid backup with his combination of intangibles and passing mechanics. Cerebral player. Handles a lot of pre-snap responsibilities with ease. Stays calm and cool. Very easy, smooth release that is repeated over and over. Can drop the ball in a bucket downfield. Very good deep accuracy when he has things lined up. Confident passer who will stand tall in the pocket and wait for things to open. Good patience to look safeties off and wait for things to open up. Throws a catchable ball. Inconsistent footwork in the pocket. Can be shaken when he gets hit and it will stick with him for an entire game. Slight frame. Struggles to evade pressure. Accuracy takes a hit when he is on the move. Arm strength is an issue. He doesn’t drive the ball downfield. Struggles to fire the ball on a line to the sidelines. 2017 stats: 357/ 534, 3593 yds, 66.9%, 30 TD, 13 INT, -147 yds rushing, 0 TD, 137.0 QB rating. Ball velocity 52 mph. Medical exclusion at Combine, left wrist. Sixth/seventh round. (A-32, H-9 1/4, SS-DNP, VJ-26.5).